There are some who will never consider eating meat again based on what they've seen and read about conventional farms. I don't blame them. If that were my only option, I wouldn't eat meat either. Thankfully, that's not your only option. Instead, you can get safe, healthy meat from a local farm who raise their animals humanely, feed them what they were meant to eat, don't give them any hormones, antibiotics or other junk, and let them freely roam around on pasture. Here's where to order safe, healthy meat online if you don't have a local source. That's all it takes to convince me to avoid buying our meat there. I rarely even get past where their meat is from, to ask my other questions about what they're fed, or whether they're out on pasture, etc. Is Fluoride safe in your toothpaste or in your drinking water? Have you visited my Kitchen Kop resources page yet? Kelly, I live in Florida and have ordered from Slanker’s in Texas. I’ve never seen a comment on their products anywhere. I like their variety, prices and service. Please comment if you know about them. They ship refrigerated to a wide area. Thanks. Hi Kelly, I just discovered your blog…what a find! I am having the darndest time finding pastured chicken and anything better quality than “no antibiotics” for pork. I live in Detroit, and even the Whole Foods doesn’t have them! Any thoughts or will I be forced to order online? Thanks! Hi Lilly, have you tried checking with your local WAPF chapter? No, I hadn’t. But thanks for the tip! I live in the Grand Rapids area. Do you know where I can find a healthy ground turkey? We use grass-fed beef/chicken and eat a good bit of fish. We love turkey but I can’t seem to find a healthy ground option anywhere. I was trying to use the link for purchasing meats but it sends me to a list that has no further information. I’d like the info and if there’s no link, you can’t earn that commission. Hope you get that fixed soon. I take it you’re a vegetarian, but how many bugs and other critters are killed with an agriculture-based diet? I encourage you to check out this related post: https://kellythekitchenkop.com/2009/11/are-meat-eaters-ruining-the-earth.html, including the links and hopefully even the book that is referenced there. I love the OXYMORONS “healthy meat”; oh, and “happy animals” (until you kill them) – ! Of course we don’t – “love” anything like that at all – except the irony…….and of course WAR! Stephanie, my sister does live near there, so I just emailed her, thank you! Well I don’t want to give the secret away. But if you live near Ann Arbor, MI. 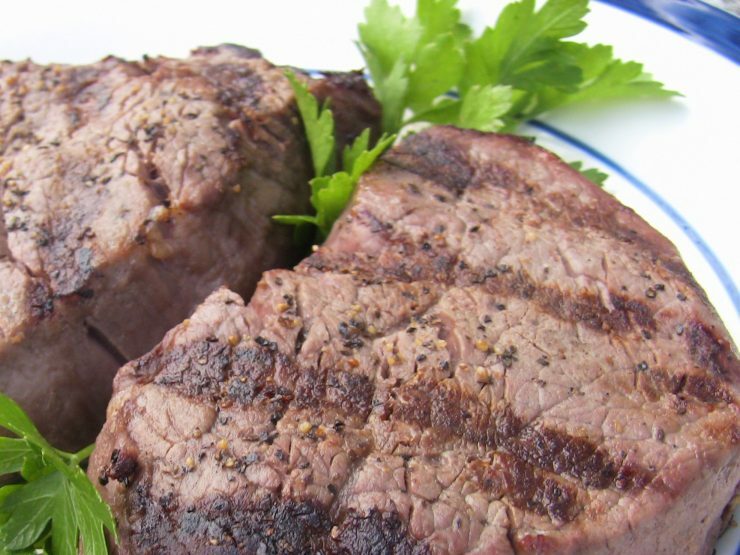 Arbro Farm’s Market sells local grassfed beef from Lamb Farm, for under $3 a lb! Someone has already offered to write a guest post on grass-fed meats for next week (yay! ), so I need to ask them to clarify whether grass-fed and grain-finished is close enough to all grass-fed. I’m going to learn a lot from that post! And yes, as far as I know, pasture-fed and grass-fed are the same. I don’t know if the markets around me (Detroit area) are available to most, but I have also found that by asking the butcher directly, I can get more info than a casual glance at labels. I discovered that all beef Whole Foods sells (and some of it is quite reasonably priced) is pasture fed, and ‘grain finished’ (the last month before processing. A brand Meijer Thrifty Acres carries now, NatureWell, is also pasture fed and grain finished. I’ve found ground beef as low as $2 a lb. (typically it is $5 however.) We also like Laura’s beef which has been available for about 12 or 14 years at Krogers and Farmer Jacks here. Krogers also has their own Organic brand of beef which I believe, is pasture fed. One question I have is, is pasture fed the same as grass fed? Organic would mean no chemical pesticides or fertilizers are used on the pasture. As far as economizing, I have found some fabulous prices on organic grass fed beef by checking for the bright orange Manager Special labels that Kroger & Farmer Jacks use on meat that is due to expire. I am comfortable buying it the day or 2 or 3 before and freezing it until I need it, or cooking it same day. Great blog – thanks for getting the word out about healthy eating!